I don’t know about you but I sure do love to find bargins on the internet (maybe a little too much!). So when I saw these lipsticks on eBay for £1 each I sure had to give them a go. I hope you enjoy this review and hope it helps you in trying out new products. These are liquid lipstick which go on like a gloss but dry to a matte finish, they have their advantages and disadvantages as I will explain below. 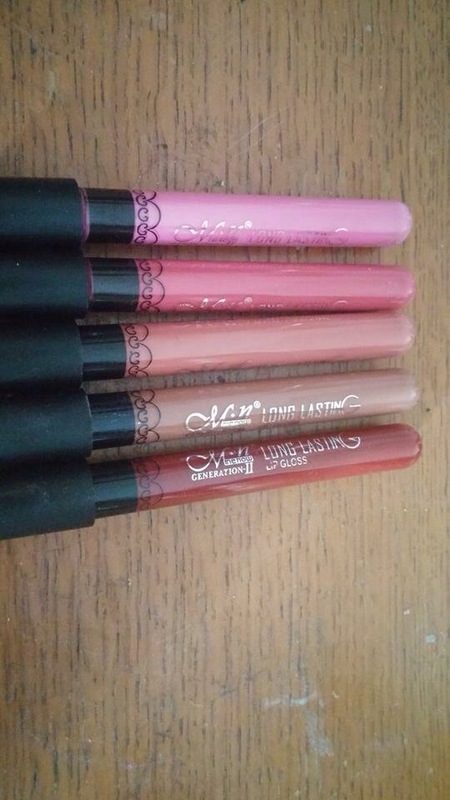 If you do a quick eBay search for liquid lipsticks you should be able to find these ones, sadly the seller I got mine from is no longer selling them. Obviously the price is a great advantage, for £1 is not very expensive, even if its for a couple of uses before branching out to a higher quality alternative this product is great. Another advantage is that once they’re on, they’re going to be there for quite a while, I wouldn’t go as far as saying that they had the potential to stay on all day but they certainly stayed on my arm for atleast 5 hours without disruption. The wand applicator is great with a little doe foot on the end allowing for easy application. 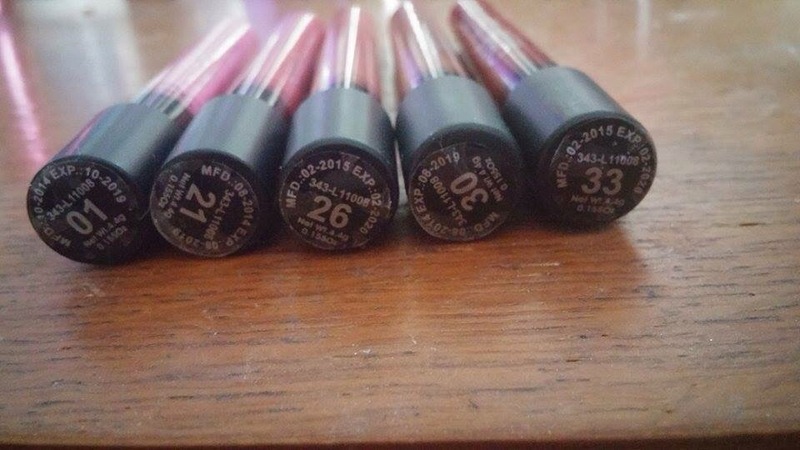 On the arm they’re really set down into the skin, however when I applied them to my lips I found that they always remained slightly tacky which doesn’t bother me personally but if you’re someone that likes products to be really matte and smooth on the lips I wouldn’t go for these. Another disadvantage is that I found that they didn’t smell very nice, they smelt rather chemically? I love the smell of Mac lipsticks so I presume i’ve been spoilt by such lovely smelling ones! 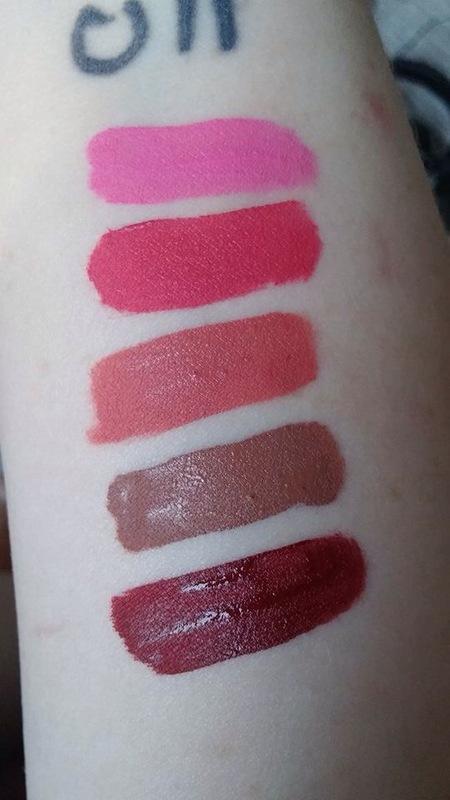 To conclude I think these lipsticks are great if you’re on a budget, trying out a new shade before fully commiting to a higher end product or just getting into makeup, however if you have the cash to splash there are plenty of other great liquid lipsticks out there which are heaps better. ‹ PreviousMakeup of the day!